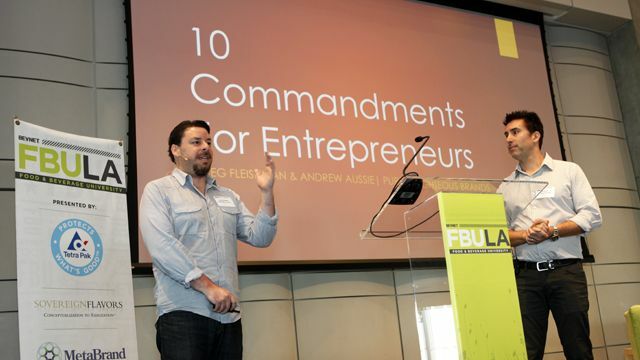 What exactly was FBU LA? Food & Beverage University (FBU) was an entry-level crash course to the CPG food and beverage industries. Over 20 experts and industry veterans addressed the dos and don’ts surrounding a variety of topics that early stage entrepreneurs face in their first few years of business. Topics covered included initial formulation and packaging design, identifying the different retail channels and routes to market, understanding the existing distribution models to deliver your product to stores, positioning your company for different types of investment, and how to best utilize available sales and marketing tools. 16 minutes Graceful Pivots: Rolling with Change as an Entrepreneur - Liane Weintraub, CEO and Co-Founder, Tasty Brand, Inc.